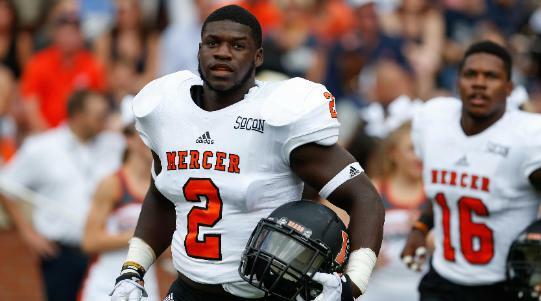 Bennett is Mercer’s first football alumnus to sign a professional contract. Monday, September 10, 2018, 9:17 a.m. Updated: Tuesday, September 11, 2018, 2:17 p.m.
alumnus to sign a professional deal. together an accomplished collegiate career on and off the field. and his work ethic clearly paid off. tremendous to see him rewarded for staying the course." The BC Lions are 4-6 overall in the CFL's West Division.